The Asparagus Sprengeri is commonly referred to as a fern, when, in fact, it is not. It produces seeds rather than spores and is related to the vegetable, Asparagus. 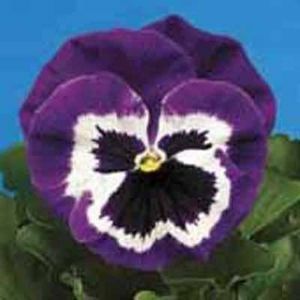 It is an excellent choice in the Spring, Summer and Fall, right up until the first frost if left outside. 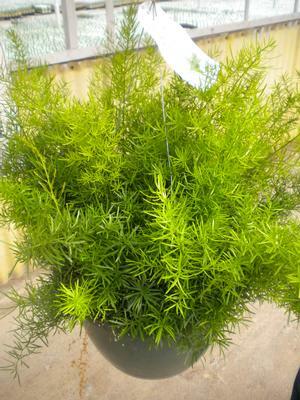 Asparagus Sprengeri is desired most for its beautiful foliage, vigorous growth, and mounding, semi-trailing growth habit for landscape, beds, baskets and containers. 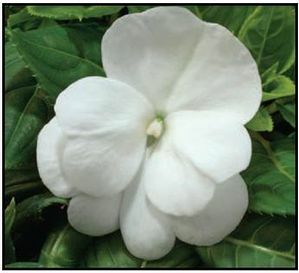 In mid-Summer, this lovely will produce delicate white flowers, soon following with bright red berries. Aspargus Sprengeri thrives in either sun or shade, but a little shade will help it to maintain a darker green foliage. 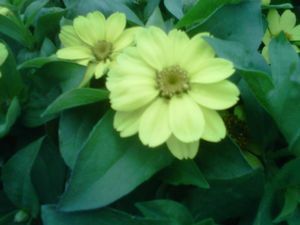 It matures to about 24-36” tall and about 36-48” wide. Asparagus Sprengeri grows best in average, well drained soil. 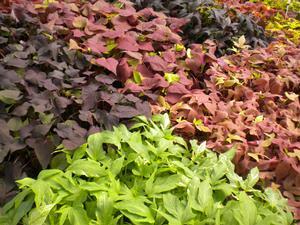 Please remember, plants may need a little extra TLC and more consistent watering when in a container or basket!